In 2015, a Monterey Bay Aquarium Research Institute (MBARI) led research expedition to the Gulf of California discovered a distinctive hydrothermal field in the Southern Pescadero Basin. 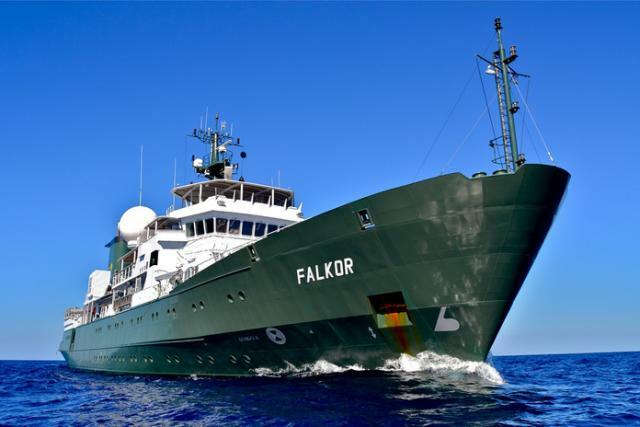 The Falkor is returning to conduct geological, chemical and biological study of this vent field. The science team will take a variety of samples and conduct ROV dives to better understand this unique deep-sea ecosystem and learn more about the marine animals that call it home.